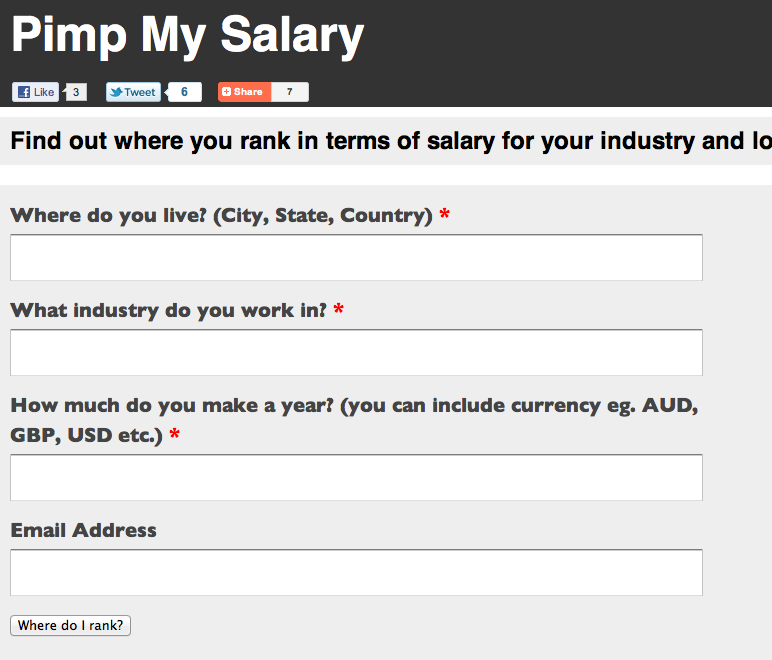 Australia web app development firm Working Software has posted a new project called pimpmysalary.com. 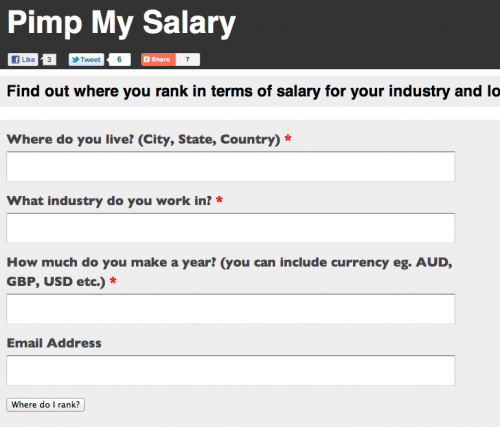 The goal of the project is to collect anonymous user-sourced data on location, industry and salary. Once a user inputs their information in those 3 fields plus optionally adds their email, the service will deliver an estimate of what they should be earning in their email inbox. New job, new salary, new city. It can all be very exciting, but if you’ve miscalculated during your salary negotiations, it can have dire effects on your new cost of living. And there is nothing exciting about that.